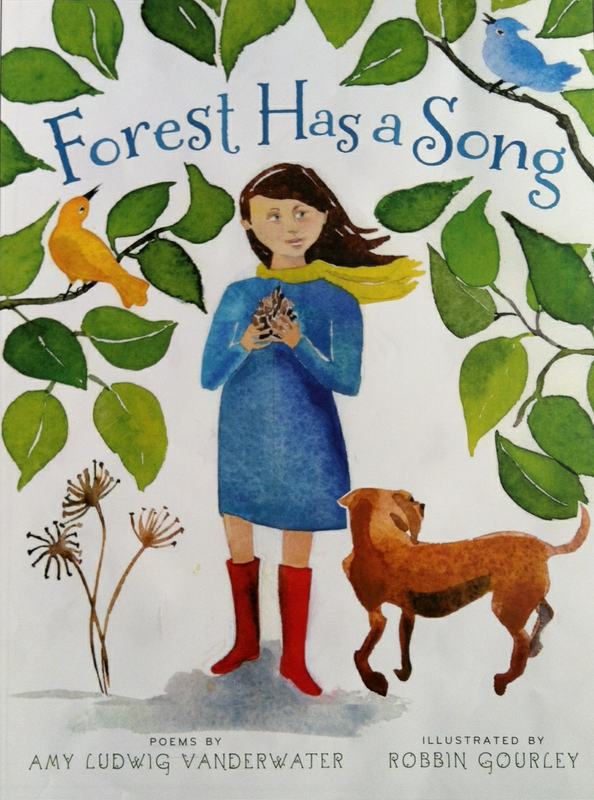 The Poem Farm: Day 14 - National Poetry Month 2015 - Sing That Poem! 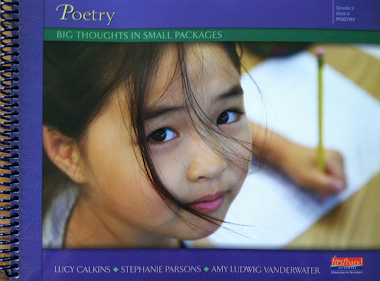 Day 14 - National Poetry Month 2015 - Sing That Poem! Welcome to Day 14 of this Year's Poem Farm Project! Yesterday's poem was Painter. Here is the tune that goes along with it, below. Did you figure it out? 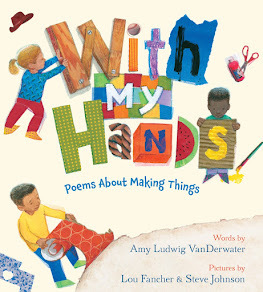 in my forthcoming book, WITH MY HANDS: POEMS ABOUT MAKING THINGS. I am sorry, and I will try to write a new one with the same meter for this spot. Guess what? Mrs. Holt's reading-loving students from Ladue Fifth Grade Center in St. Louis, MO figured it out, and they were kind enough to share their voices with us here today. Right now, these students are studying poetry, writing their own poems, and enjoying many mentor texts to understand form and topic choice. As to how they solved yesterday's tune-puzzle, Mrs. Holt writes, "We don't have any extraordinary tips for figuring out the song, but our strategy was to try out different rhythms from your list until we thought it made sense." You can hear their voices below. Thank you so much to these students for singing with me today. I welcome any classes to do the same; simply send me your SoundCloud (easy free app) link in an e-mail, and I will include your voices here too. Students - Happy National Library Week! This is a special week to celebrate the wonder of free libraries, fabulous librarians, all of the good people who work in libraries and all of the resources we find there. Today's poem is a poem to honoring libraries and librarians. There are times when it just feels right to write a poem for a special person or a special day. You might think about those you love or about holidays that mean a lot to you or well, you might make up your own celebration, as the character does in I'M IN LOVE WITH CELEBRATIONS by Byrd Baylor. 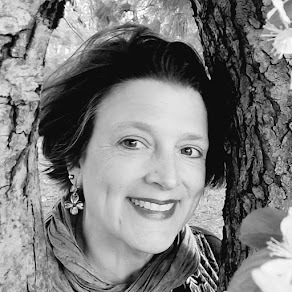 It is a joy to celebrate others and things we care about through poetry. You will notice that today's poem has a repeating stanza, or chorus. This has been something new for me this month. Usually in poetry, I do not include a repeating stanza. But sometimes, in these poemsongs, I do. Below, you will see a new book of poems about celebrations. 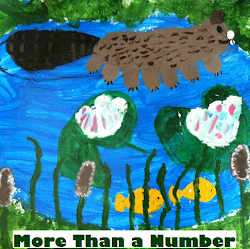 It was just born this National Poetry Month! Happy birthday, book! 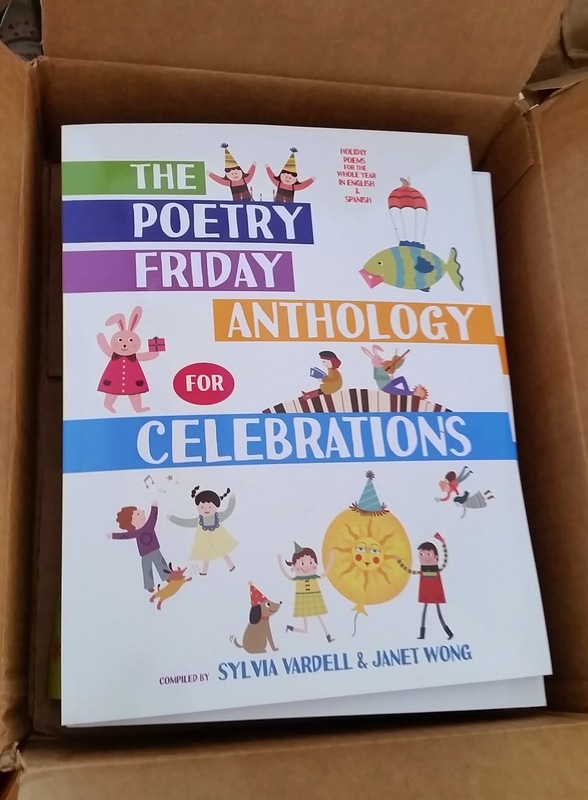 Congratulations again to Sylvia Vardell and Janet Wong, who brought together many many poets and put together this beautiful volume in both English and Spanish for all of us. Now, go find a librarian to hug. 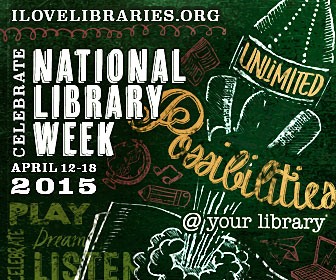 Say, "Happy Library Week!" This is important. Wonderful for this week, Amy! I'll share with our librarians, too. I think I've guessed the right song this time! 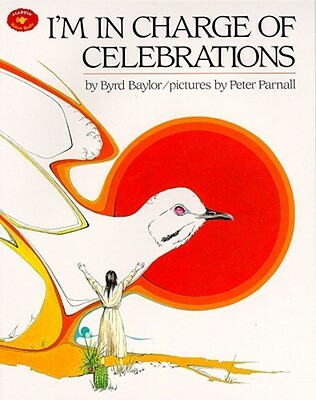 Love the new celebrations anthology, but also happy you shared Byrd Baylor's book. Her books are gems.